Applied Machinery Australia is one of Australia’s largest and most respected dealers of machinery for the Sheetmetal, Engineering, Recycling and Plastics industries. We are here to service all of your machinery needs, whether they are large or small. If we don’t have the exact machine for you in stock, we will search our network of local and international dealers and end users to find the machine to best suit your requirements. We represent some of the world’s leading machinery manufacturer’s including; Yawei, Genox, Hurco, Chen Hsong, Hermle, Alfa Robot, Polystar, Pro-Plas, Akyapak, Weber, Hyundai-WIA and Kitamura. Also, if you are looking at upgrading your plant and equipment, we are always interested in quality trade-in options. Applied Machinery Australia have specialist service engineers, skilled in all areas of industrial hydraulic, electical and mechanical repairs. Thorough installation and training is essential for customer satisfaction and safety and these services are readily available with most machinery purchases. 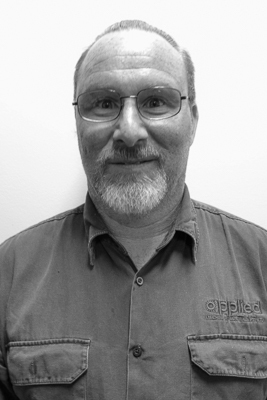 David joined Applied Machinery in 2010 bringing over 25 years of experience from within the Australian plastics industry. 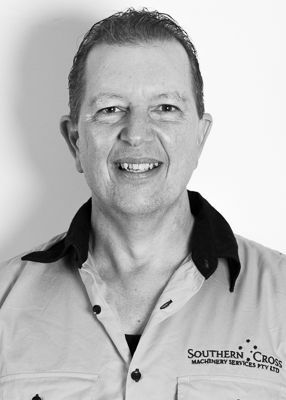 David started in the plastics industry in 1985 working in large injection and blow moulding facilities before joining Qenos (formerly Commercial Polymers and Kemcor) where he spent 8 years progressing from the processing laboratory into a senior sales role. In the mid 90′s David moved away from the Raw Materials business into the Plastics Machinery business where he has held senior roles and establishing strong relationships within some of Australia’s largest plastics manufacturing organisations. Since joining Applied Machinery David has concentrated on developing our recycling equipment business to a point where Applied Machinery are now Australia’s leading supplier of shredding, granulating, washing and separation systems representing both Genox and Polystar recycling equipment. 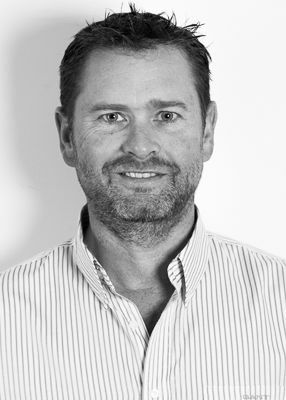 In 2012, David became owner of Applied Machinery and is now Managing Director, but retains his strong emphasis on the development of our plastics and recycling machinery business. Naag has been with Applied Machinery for over 20 years and is an expert in Lasers, Turret Punch Presses and Pressbrakes . A mechanical engineer by trade and ex production manager at HMT in India, Naag brings over 35 years of industry experience into each and every deal he does with Applied Machinery. Along with some other members of our team, Naag has taken the lead in our partnerships with Mitsubishi Laser and Yawei and is committed to bringing more of these machines to market in Australia over the coming years. When Naag is out of the office he’s often found spending time in his garden and also enjoys weekend road trips across Victoria. 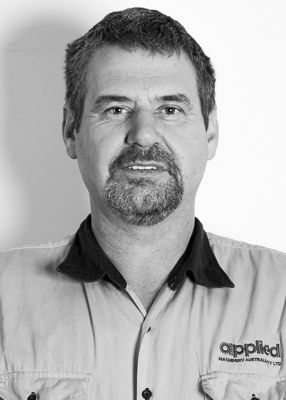 Paul has been in the plastics industry for over 20 year, 6 of them with Applied Machinery and brings with him a strong understanding of the issues facing Australian plastics manufacturers and processors. With a strong background in injection moulding and blow moulding, Paul has developed a loyal network of customers across the country and continues to achieve strong sales of IMM’s into Australian industry, even in the face of a challenging business climate. Paul is leading up our partnership with Chen Hsong injection moulding machinery and is looking forward to developing this relationship even further as we move forward. Paul is a MMA fan, a keen golfer and follows Hawthorn. Laurie has been in the engineering industry for most of his life, has been with Applied since 2009 and is a fitter and turner by trade. Laurie spent a large amount of his early career at Brobo in a production and sales management role, before transitioning into machine tools sales. Laurie’s specialty machines include Bandsaws, Lathes, Guillotines, Pressbrakes & Lasers. During his time at Applied, Laurie has strengthened and developed our business ties with Cosen which has seen us become Australia’s largest seller of Cosen bandsaws. Laurie has a strong interest for automotive restoration and has a garage devoted to numerous projects in various stages of completion. 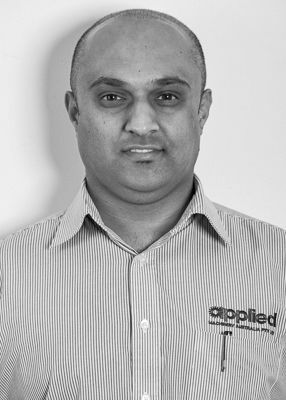 Prashant has worked in the machine tool industry for 13 years, and joined the Applied Machinery team in early 2013. Prashant’s main area of responsibility at Applied is in CNC Machine Tools. Machining centres, CNC Lathes, Borers and similar equipment. 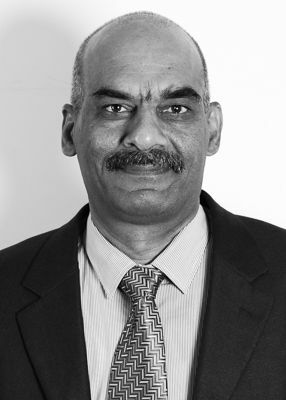 In a relatively short amount of time, Prashant has worked in conjunction with management to secure some fantastic agencies for Applied, including; Hurco, Hermle, Wele, Takisawa Taiwan, Kitamura, Hurco, Hyundai-WIA, Microweily, Ibarmia and Lilian. Prashant plays badminton, soccer and table tennis. He’s a keen drummer and can often be found performing around Melbourne. Kris is a mechanical engineer, also beginning his career with HMT in India. 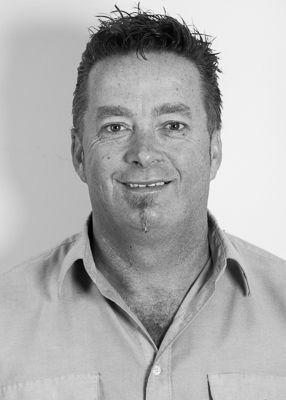 He has over 20 years’ experience in machinery sales and service and has been a part of the Applied team since 2010. Kris has a strong focus on developing international business through a network of contacts in the sheetmetal industry and can often be found representing Applied at tradeshows and events all throughout the Asia/Pacific region. 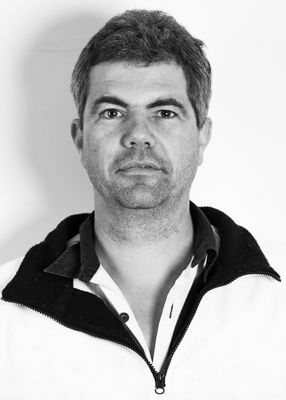 Kris’ speciality includes lathes, panbrakes, pressbrakes and milling machines though is definitely a jack-of-all-trades when it comes to machinery. Kris has a passion for traditional Indian music and regularly performs at local events. Matt has been with Applied Machinery since 2003 and has become one of Australia’s leading service technicians for CNC pressbrakes and is a Delem control expert. In addition, Matt manages many of our Yawei fiber laser installations and is knowledgeable in all facets of fiber laser technology. Matt, along with Mark is currently preparing for IPG factory training in Germany to continue to grow our support base for Yawei HLE and HLF series fiber lasers in Australia. 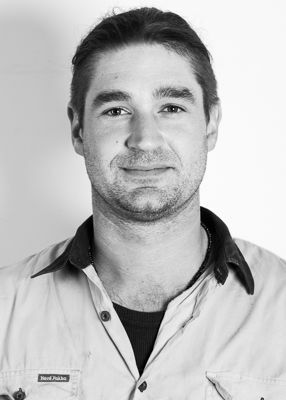 Matt heads our service team and often manages our large scale installations of high capacity pressbrakes and more recently laser processing systems. Matt has been factory trained in Yawei and Mitsubishi and is committed to continuing to develop his knowledge base and service skills, especially in the area of CNC machine tools and Fanuc controls. Applied Machinery Australia have specialist service engineers, skilled in all areas of industrial hydraulic, electrical and mechanical repairs. Also, Matt plays the guitar and supports Collingwood in the AFL. Daniel started with Applied in 2003 in a business development role, though since 2006 has shifted into the position of Marketing Manager. 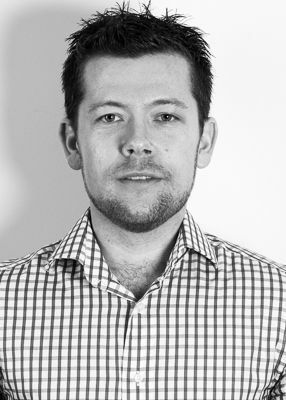 Daniel takes care of all of the advertising campaigns and marketing messages from Applied in both print and online formats. 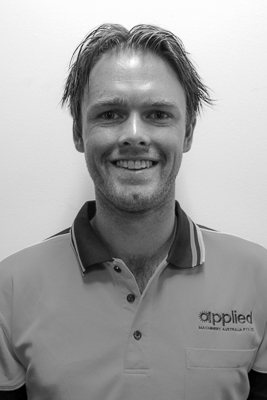 Daniel liaises with the marketing teams of all of Applied’s international machinery agencies to ensure Applied has access to the latest and most relevant machinery information for our customers. Daniel also works on large machinery projects and tender submissions as required, mostly alongside our Engineering and Sheetmetal teams. Daniel is also a keen photographer and Sydney Swans supporter. Melinda has been part of the Applied team for over 14 years now. 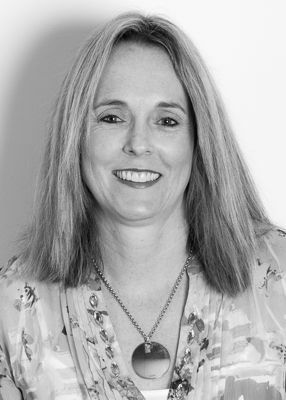 Melinda runs and manages the administrative needs of our office and growing sales team, along with the day to day processing of Applied’s accounts. When you call the office, more often than not it will be Melinda’s friendly voice that you are greeted with. Melinda is a proud and passionate Collingwood supporter. 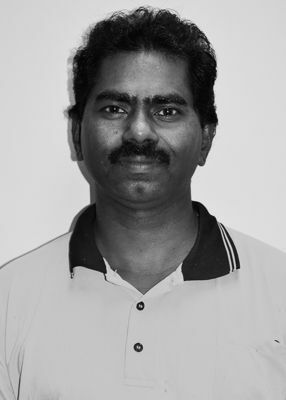 Govind joined the Applied team in 2010 and has strong background in maintenance and service of CNC machine tools. 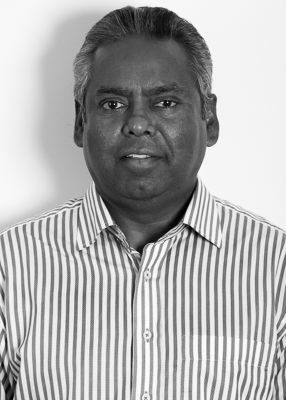 Govind has worked for large multi-national organisations across Asia and the Middle East, though has called Australia home for over 8 years now. Govind manages the installation and maintenance requirements of the majority of our CNC machining centres, CNC lathes, bandsaws, guillotines, milling machines and lathes out in the market. Mark joined Applied in early 2014 and has extensive experience managing installations of guillotines and pressbrakes across the nation. Also, Mark as installed numerous waterjet machines of various sizes and capacities. Mark brings a strong pneumatic, hydraulic and mechanical knowledge base to his service work and is skilled across many machine types. Currently, Mark is working on a number of Yawei fiber laser projects across the country and is about to undertake IPG training in Germany. Before joining Applied, Joel had extensive experience working on Amada turret punch presses, bandsaws and guillotines for over 16 years. Joel is a fitter and turner special class (maintenance and fluid power) and has been in the engineering and machinery business since 1989. Naturally, he installs, services and supports our new and used turret punch press customers across the country, especially our new range of Yawei HPE series servo drive CNC turret punch presses. In addition, Joel has trained to become our specialist technician to support our range of Pro-Plas CNC plasma cutting systems. Joel brings a wide skill set in engineering and fabrication to Applied. When Joel isn’t at Applied, he’s a keen mountain bike racer and can be found hurtling down a MTB track somewhere across greater Melbourne. He’s also a into hobbyist robotics and tinkering in his own machine shop at home. Since 2012, Bill has been with Applied in the role of internal service and maintenance, though recently has taken the title of dispatch manager. Bill comes from many years in the foundry business and has extensive experience maintaining and repairing a wide variety of machinery and equipment. Bill has overseen the reconditioning of many of our premium used machines, and is an expert is machining rigging and loading. Bill is a proud Bombers supporter. 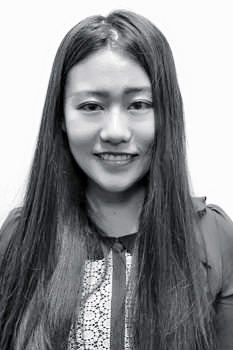 Echo started working at Applied as an interpreter in 2016, and following completion of her degree has joined Applied in a full time capacity. Her role involves all aspects of accounts, administration and sales support across our various machinery divisions, including critical coordination between suppliers and customers to ensure constantly high levels of customer satisfaction. Echo will ensure your enquiry get responded to as quickly as possible. Echo loves music and yoga. She supports Hawthorn in the AFL. Jack, having recently started full time with Applied is currently responsible for all manner of sales and service support across the company, including service team scheduling, and logistics support for our Operations Manager. Jack’s area of expertise is in plastics and recycling machinery, mainly with Genox and Polystar equipment. Jack is a keen golfer and Richmond supporter. Adam has been working for Applied Machinery as a service contractor for 14 years, though has just recently formally joined the team. 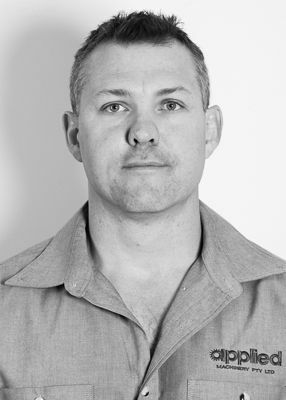 Adam is an A-Grade electrician and has been servicing the plastics industry for over 25 years, specialising in repair and service of injection moulders and auxillary equipment. Along with plastrics machinery, Adam also regularly works on presses, guillotines, pressbrakes and turret punch presses. Adam is our go-to man for all things electrical. Adam is a keen Sydney Swans supporter.